The information presented on this page was originally released on November 5, 2012. It may not be outdated, but please search our site for more current information. If you plan to quote or reference this information in a publication, please check with the Extension specialist or author before proceeding. MISSISSIPPI STATE – The Mississippi State University Extension Service recently gained national recognition for a program designed to protect the state’s timberlands from an insect pest. The Mississippi Southern Pine Beetle Prevention Program received the 2012 Family Forests Education Award at the Society of American Foresters’ national convention, held in Spokane, Wash. The honor is given annually by the National Woodland Owners Association and the National Association of University Forest Resources Programs. It honors the educational institution that has delivered the most effective educational program benefiting non-industrial, private forest landowners. The Mississippi Southern Pine Beetle Prevention Program is part of a regional effort funded by the U.S. Forest Service and the Mississippi Forestry Commission to reduce the threat and impacts of Southern pine beetle outbreaks on private forest lands. 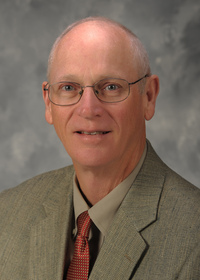 Andy Londo, a research and Extension professor in MSU’s Forest and Wildlife Research Center and Extension forestry coordinator, said he nominated the program for the award because no other university in the country does anything like it. Londo said the group also coordinated three cost-share programs -- one each for foresters, loggers and landowners -- to encourage thinning. Another factor that makes the program unique is its multiple collaborative partners. “What makes the award special is that it recognizes the team work required to conduct the work and the numerous people who contributed to the program’s success,” Londo said. “Mississippi is the only state in which the state forestry agency is working with the state’s Extension forestry program to deliver this type of educational outreach. It’s essentially a peer award that recognizes the high quality of work being conducted at MSU,” he said. Andy Ezell, MSU forestry department head, said the nomination materials were judged by a panel of experts from universities across the country, who noted the amount of work, partnering and successes involved in the program.